Those who lived through the 1990s might remember the campaign to save the ozone — the layer of Earth’s upper atmosphere that helps protect us from harmful UV rays. While ozone is useful in the atmosphere, it’s detrimental to the health of plants and animals if absorbed or inhaled. 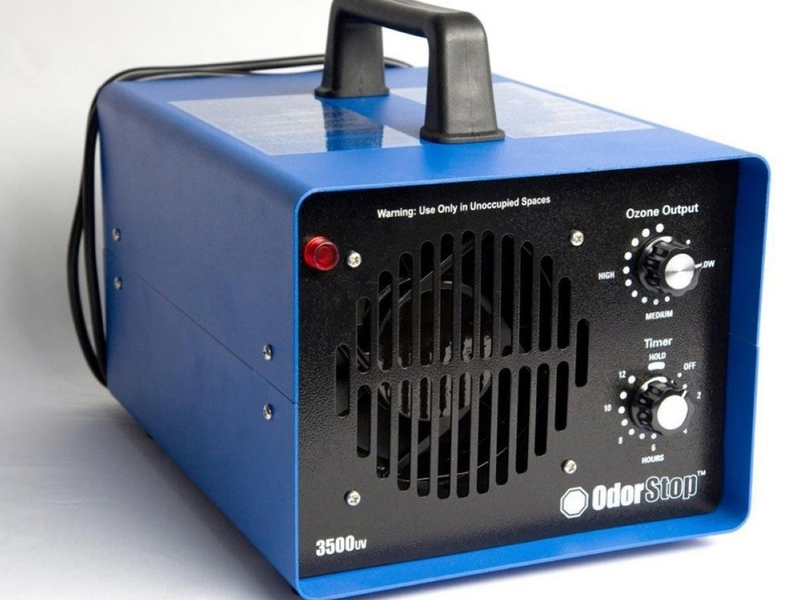 Ozone generators are an increasingly common air-purification method for indoor cannabis grow ops. But should they be? As with most things in life, the answers are somewhat complicated. So, before you go out and drop a bunch of money on such a machine, it’s probably best to know a bit more about them. What Exactly Are Ozone Generators? Most of us have heard of the planet’s ozone layer — or lack thereof — but what is it, really? Ozone is a gas that occurs twice: In the upper atmosphere and at ground level, in the troposphere. The ground-level occurrence of ozone is a main component of urban smog — it’s harmful to breathe and damages vegetation — whereas the “good” ozone occurs farther out in the stratosphere and protects life on Earth from harmful ultraviolet rays. 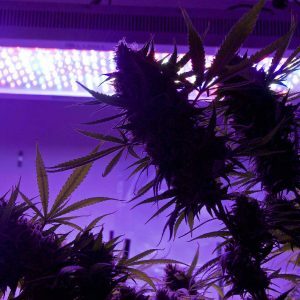 When it comes to cannabis cultivation, the benefits are obvious of using anything that cleans the air in the immediate environment, as ozone generators are marketed as doing. But are the benefits worth the expense of exuding a major air pollutant? The Environmental Protection Agency (EPA) says no. A molecule composed of three atoms of oxygen. Two atoms of oxygen form the basic oxygen molecule–the oxygen we breathe that is essential to life. The third oxygen atom can detach from the ozone molecule, and re-attach to molecules of other substances, thereby altering their chemical composition. It is this ability to react with other substances that forms the basis of manufacturers’ claims. When it comes to the efficacy and safety of ozone generators, different sources say different things. But most of the solid science recommends against them due to the hazards they cause. Do Ozone Generators Benefit Cannabis Growers? Theoretically, ozone generators emit ozone to kill disease, fungus and odors, and at high levels they provide effective sterilization. While anything that can kill bacteria with such efficiency is appealing to professionals in many fields, including cannabis cultivators, it’s not without its risks. The National Institute for Occupational Safety and Health recommends an exposure limit to ozone of 0.1 ppm, and considers levels of 5 ppm or higher “immediately dangerous to life or health.” This would mean the ozone level cited in this study is extremely hazardous, and would only be safe when no human was present and the area was properly ventilated. Antibacterial properties are just one of the benefits manufacturers of ozone generators claim the machines offer. The most appealing claim to cannabis growers is that ozone generators work as an antifungal device, as demonstrated in a separate study by researchers at The Journal of the International Ozone Association. The association reports that one or two cycles of treatment of 35 ppm for 20 minutes with a short burst of humidity inactivated most of the 13 separate species of environmental fungi on a variety of surfaces. However, that treatment is still at unsafe levels for humans to be present. A separate study published by ScienceDirect was shown to be effective with treatments at levels safe, or near safe, for humans. Ozone delivered at concentrations of .1 ppm to .2 ppm was shown to slow the growth of powdery mildew on a cucumber. However, earlier trials using ozone at a safe-for-humans level of .05 ppm increased the powdery mildew, so it seems ozone generators are mainly effective when pushing the limits of safety. So, are ozone generators useful for cannabis growers? While many ozone generator manufacturers and those who sell them insist they are, it seems their benefits are limited at best. The jury is still out on the effectiveness of ozone generators as a sterilization tool, but what about their potential risks? 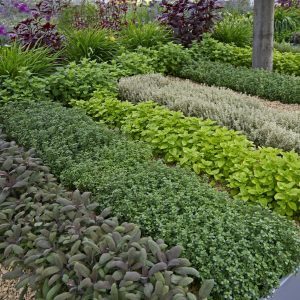 In regard to ozone, the EPA and similar agencies around the world have adopted the mantra of, “Good up high, bad nearby.” Ozone can be bad for plants and bad for overall air quality. Ozone generators emit an amount of ozone that is low enough to be deemed safe for humans, but that doesn’t solve all of their issues. The Food and Drug Administration (FDA) limits the amount of ozone put out by indoor medical devices to 0.05 ppm. That number falls below the amounts needed to provide any antibacterial and antifungal benefit. While the output of indoor ozone generators may be minimal, higher levels can accumulate indoors, depending on the circumstances. 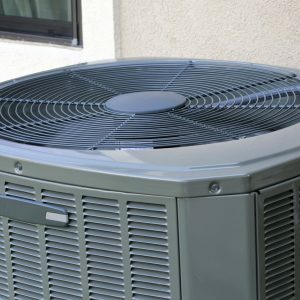 A 1995 EPA study found that when run on high with the doors closed, some ozone generators produced concentrations of .2 ppm to .3 ppm, four to six times higher than FDA standards. Considering the shaky record when it comes to effective antibacterial and antifungal application, and the detrimental human and plant health effects, why would cannabis cultivators risk potentially harming their crops with ozone generators? Given all of this information, those growers among us who still want an ozone generator are advised to use them with caution. 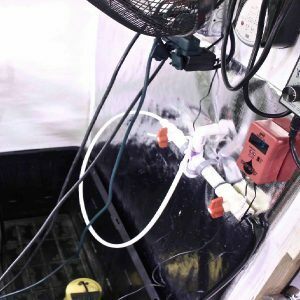 Even when following the manufacturer’s instructions, ozone generators can cause serious harm to anyone that enters a grow room during and after their use. Be sure to leave the room during the use of an ozone generator, and don’t inhale while it’s running. The room should always be properly ventilated, and lights, particularly LEDs, should be powered off during use, because ozone can have a toxic effect when mixed with UV rays. And of course, don’t allow pets in the room while an ozone generator is running. Birds in particular are vulnerable to poor air quality, but even cats and dogs will generally have a lower tolerance than humans. 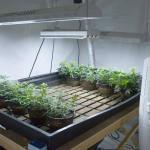 Should You Get An Ozone Generator For Your Grow Op? While sterilization in cannabis grow ops is always a good thing, the risks that ozone generators pose seem to outweigh the benefits in this particular setting. Cannabis facilities in which the plant is cultivated, unlike hospitals, are unlikely to harbor diseases that could kill immunocompromised people. While some may argue that anything that kills powdery mildew is a friend of the cannabis grower, the science seems to suggest that alternative options are best utilized. An Alternative To Ozone Generators? While the quick and painless sanitation of a grow room sounds tempting, old-fashioned elbow grease would seem the better option. Pots and tables should be cleaned thoroughly between each use, and antiseptics, like hydrogen peroxide, can be used to sterilize. 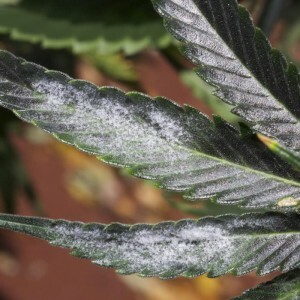 In the case of powdery mildew, there are options to find a less harmful solution, regardless of your grow setup or grow medium. 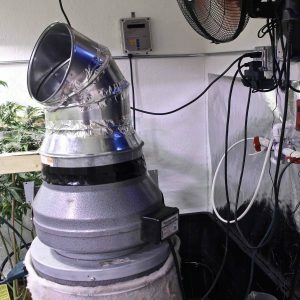 When it comes to deodorizing a grow room, opt for a carbon filter and proper ventilation. If odor in your grow room is still a concern, choose strains with a less obvious scent or consider companion plants to mask the cannabis odor.